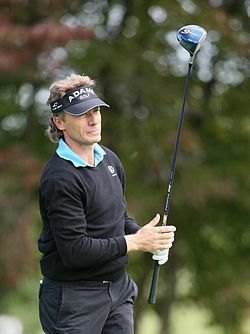 Bernhard Langer ([ËˆbÉ›ÊnhaÊt ËˆlaÅ‹É]; born 27 August 1957) is a German professional golfer. He is a two-time Masters champion and was one of the world's leading golfers throughout the 1980s and 1990s. In 1986, he became the sport's first official number one ranked player.